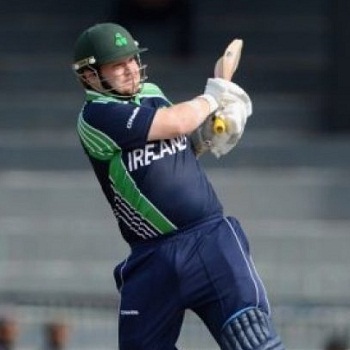 Ireland 7-164 (Paul Stirling 60, William Porterfield 31, Tinashe Panyangara 4-37) beat Zimbabwe 5-163 (Brendan Taylor 59, Elton Chigumbura 22*, George Dockrell 2-18, Andy McBrine 2-26) by three wickets. Zimbabwe scored 163 runs for the loss of five wickets after 20 overs and Ireland piled up 164 with three wickets in hand on the final delivery of the 20th over. Paul Stirling (Ireland) was declared ‘Player of the match’ for his precious knock of 60 off mere 34 balls. The ICC World Cup T20 – First Round Group B, was played on Monday, March 17, 2014, at Sylhet Stadium. Earlier, William Porterfield, the captain of the Irish team, won the toss and opted to field first. Zimbabwe lost their first wicket at 14 when their skipper Brendan Taylor and Hamilton Masakadza went after the rival bowling and took the score to 56 in 6.2 overs. The latter was gone for 21 and the burden of batting was taken by Taylor, with tiny partnerships at the other end. He posted his 5th T20 fifty with a four and became the fifth victim at 111 at his individual score of 59 from 46 balls with 2 lofty sixes and 6 fours. Elton Chigumbura remained unbeaten for 22 and his team reached 5-163 in 20 overs. George Dockrell and Andy McBrine were the top wicket takers with two each whereas Alex Cusak got one. William Porterfield along with Paul Stirling started the chase with aggression and thrashed 43 runs in five overs. 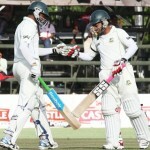 The first punched four consecutive boundaries in the next over and the opening stand was dislodged at 80 in 8.2 overs. Porterfield surrendered his wicket for 31 and was replaced by Ed Joyce whereas Stirling dispatched his fifth T20 half century with a grand six. Paul Stirling left the scene 20 runs later for 60 off just 34 deliveries with 1 six and 9 fours. Andrew Poynter walked in next, played a hurried innings of 23 off 15 and left the scene. Ed Joyce was finally clean bowled by Tinashe Panyangara for 22 as Ireland managed 7-164 on the final delivery of the match. Tinashe Panyangara was the star performer with four wickets whereas Tendai Chatara and Sean Williams claimed one wicket each. 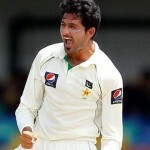 Ireland won the game with a margin of three wickets and gathered two points.